Two English UFC stars will headline the UFC’s upcoming visit to London, which takes place on March 16 at the O2 Arena. 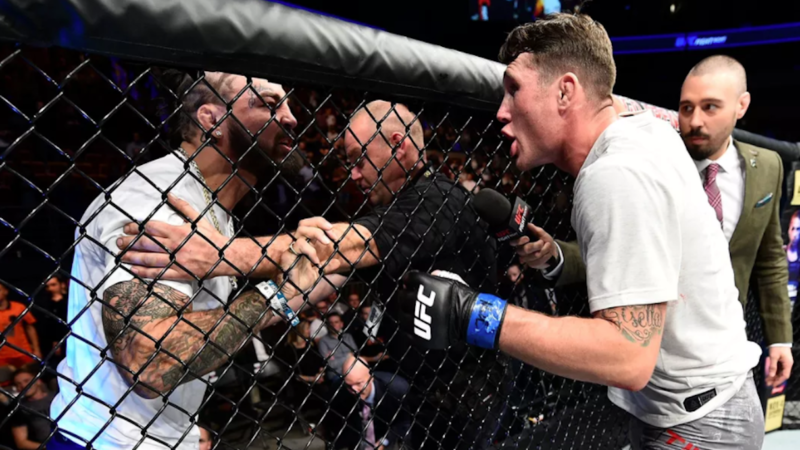 In the main event, Darren Till will look to bounce back from a failed title shot against welterweight champion Tyron Woodley back in September at UFC 228 — the first loss of Till’s professional MMA career. At UFC London, Till will take on Jorge Masvidal. Till surged through the UFC’s welterweight rankings between 2017 and 2018 with wins over Jessin Ayari and Bojan Velickovic before pulling off a spectacular upset with a first-round TKO of Donald “Cowboy” Cerrone in October 2017. Till then scored a controversial decision win over Stephen Thompson in front of a home crowd in Liverpool to secure the title shot against Woodley, which Till lost by second-round submission. Till, who missed weight for his fights with Ayari and Thompson, was rumored to be jumping up to middleweight for his next bout, but his fight with Masvidal will stay at 170. Masvidal last competed back in November 2017 at UFC 217 against Thompson, losing a unanimous decision. Masvidal was rumored to be facing Nick Diaz in March at UFC 235 but Diaz shot those plans down quick. Till’s fellow countryman, Leon Edwards, will be competing in the UFC London co-main event against Gunnar Nelson. Edwards will come into this bout riding a six-fight win streak, with his most recent (and most impressive) win being a unanimous decision win over Cerrone this past June. Nelson returned to the Octagon for the first time in about 17 months at UFC 231 last month, picking up a second-round submission over Alex Oliveira.